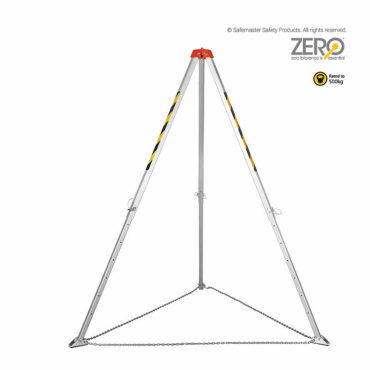 The ZERO Aluminium Confined Space Tripod is a multifunctional power package on three legs. 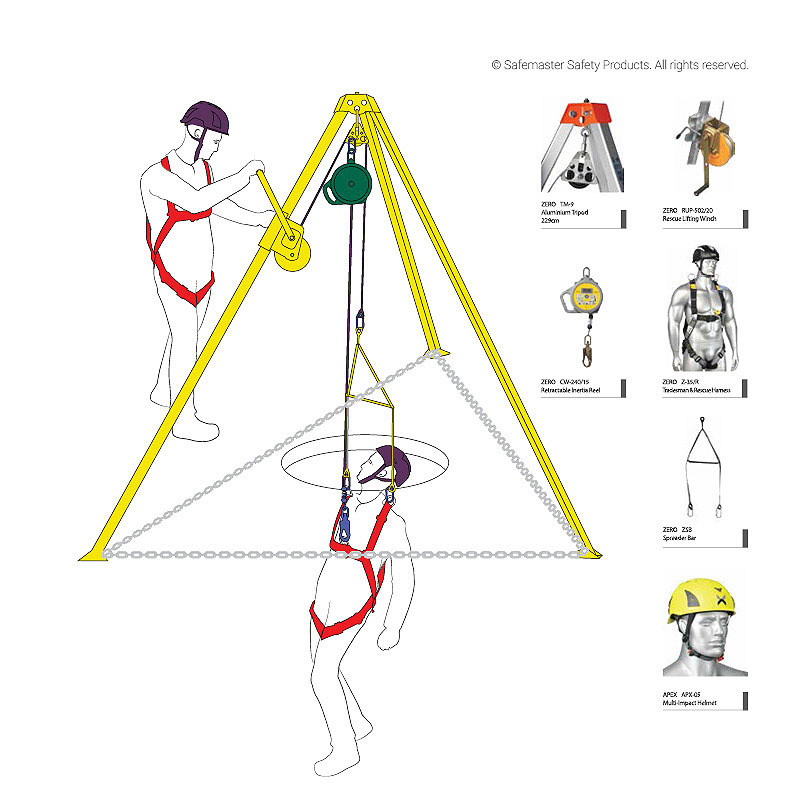 It is ideal for lifting loads, assisting in access to confined spaces, as well as for securing and rescuing people. 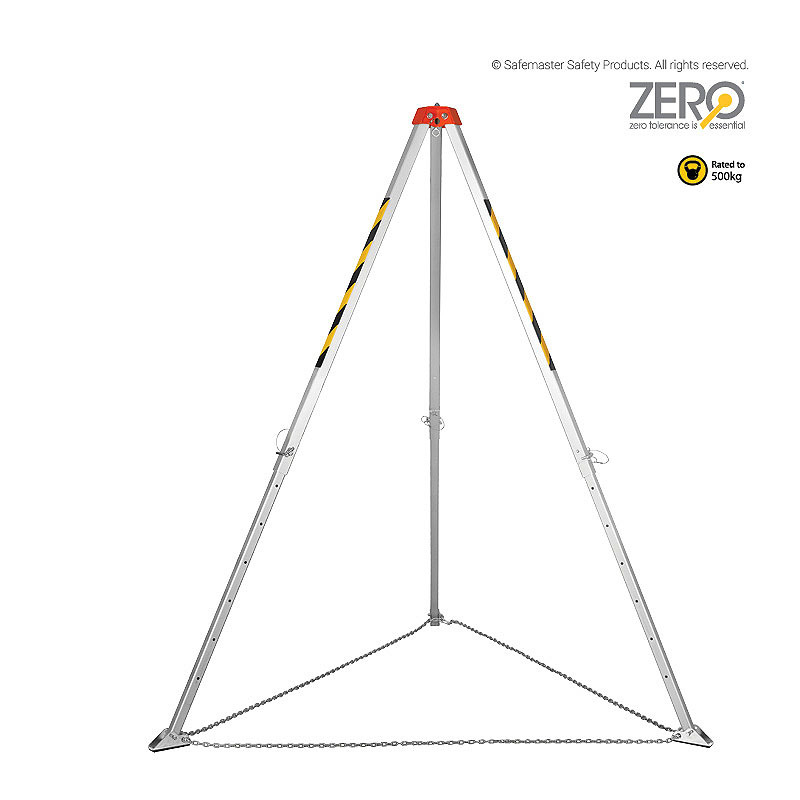 The tripod offers complete safety without having to be anchored to the ground. 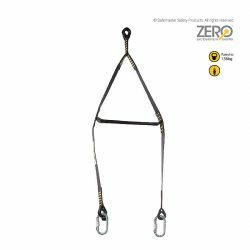 It is widely used various industries such as utilities, manufacturing, construction, agriculture and etc. 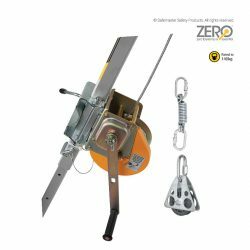 The tripod is commonly used in conjunction with the ZERO Winch and a Retractable lanyard.